From gorges to waterfalls, and rock shelters to cliffs, natural beauty abounds in Hocking Hills State Park. The massive park is split into 6 areas, named for their top features: Old Man’s Cave, Cedar Falls, Ash Cave, Cantwell Cliffs, Lake Logan and Rock House. The most popular, Old Man’s Cave, is a deep gorge named for one of its early inhabitants, recluse Richard Rowe who made the cave his home in the late 1700s. Many companies offer organized activities such as canoeing, horseback riding, and zip-lining. You can also choose to make use of the many hiking trails and fishing spot. 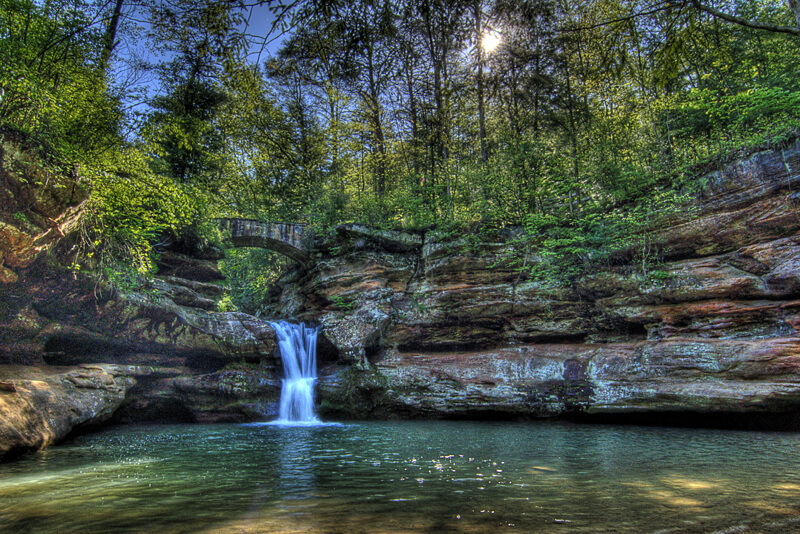 And let’s not forget Conkles Hollow nature preserve is one of the most spectacular features within the Hocking Hills region. Its sheer cliffs of Black Hand sandstone rise nearly 200 feet above the valley floor. Put the Hocking Hills area and Eagle View properties on your bucket list NOW!